Like many of you, I have spent the past few months listening to debates, reading articles and talking to friends and colleagues in preparation for the upcoming primary elections. As in any election season, certain topics become lightning rods for candidates to use on the campaign trail. On the local front, one of the hottest topics this year is the new Hidalgo County Courthouse, fueling fears of tax increases or worse. 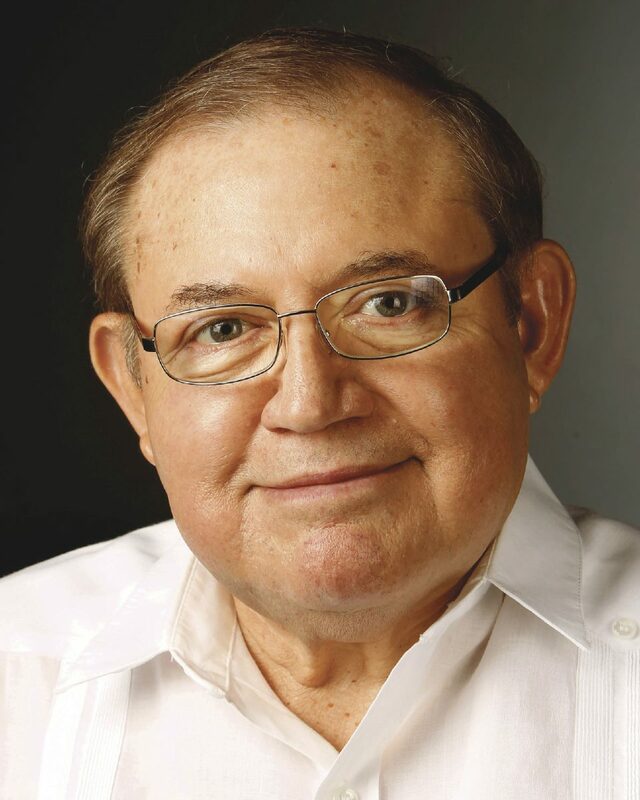 In reality, the project has been fully reviewed and examined over the past five years of planning, community and stakeholder meetings, and open and transparent Hidalgo County Commissioners court meetings. There have been unprecedented open negotiation meetings all to ensure that residents know where, and how, their taxpayer money is being used. In fact, construction will have begun even before the 2018 November General Election and will be underway when elected officials are sworn in on Jan. 1, 2019. Over $4 million of your taxpayer dollars have already been invested on the courthouse project and the county is on track for completing the project at or under budget without any new taxes. The inconvenient truth is that changing course at this time would result in actual waste of taxpayer funds. Apart from that inconvenient truth is another one: Nearly all of the ideas being tossed about have already been considered over the course of several years of planning, discussions with community leaders, community groups, elected officials, local municipalities, and other stakeholders. The result of all the community and stakeholder input is the plan that we currently have in place. It is a good plan. Having said that, I understand the concerns. I’m a taxpayer too. Is the construction of the new courthouse going to require a tax rate increase? No. In fact, Hidalgo County Commissioners in 2017 lowered the tax rate and has the financing in place to pay for the courthouse without a need to raise taxes. Why do we need a new courthouse now? The county is required by law to maintain the judiciary, and as elected representatives of the county we must act in the best interests of its residents — both current and future. The current courthouse is overcrowded, is a potential safety risk to employees and visitors, and lacks proper space for the administration of justice. Right now, the county is in the best financial shape in its recorded history, combined with the best interest rates we’ve ever experienced. Those two factors have allowed us to embark on this much-needed project without raising taxes. How much will the new courthouse cost? The new courthouse will cost approximately $150 million. We expect to come in at or below that as commissioners are always looking for cost-saving measures. Will it have room to grow? The new courthouse is designed to last over 100 years. It will be able to accommodate the current 24 courts and include six empty courtrooms, plus there is space to add four additional courtrooms, if needed. Would renovation of the existing courthouse save the county money? The cost of any renovation, based on estimates, would be $50 to $60 million, not including the cost of temporarily housing the courts and the district and county clerks’ offices in satellite locations during the remodel. In the end, the county would pay more to renovate and build the eight additional courtrooms needed to meet today’s needs than it would to build a new courthouse. Would construction at another site be cheaper? No, it would not be cheaper. The county already owns the land where the courthouse will be built as well as for parking. There is no feasible way to stay within a $150 million budget if the courthouse were built at a different site. Will there be sufficient parking during the construction? The county has identified new parking and currently owns multiple parking lots surrounding the Edinburg town square that have not been utilized. Sufficient parking has been identified in order to accommodate the needs of the public and employees during and after construction. Does construction of the new courthouse require an election/referendum? No, because of the financial payment system being used, the dire state of our current courthouse, and the importance of it to our local government operations. We expect to break ground and commence construction this fall. The project should be completed in 2021. I sincerely hope this information addresses any concerns regarding this much-needed project. Please understand that the new courthouse is a need and not a want. We, your county elected officials, are charged with ensuring the safety and justice of our community. The construction of a new, safe, modern courthouse that will address our needs well into the next century is a part of fulfilling that obligation. 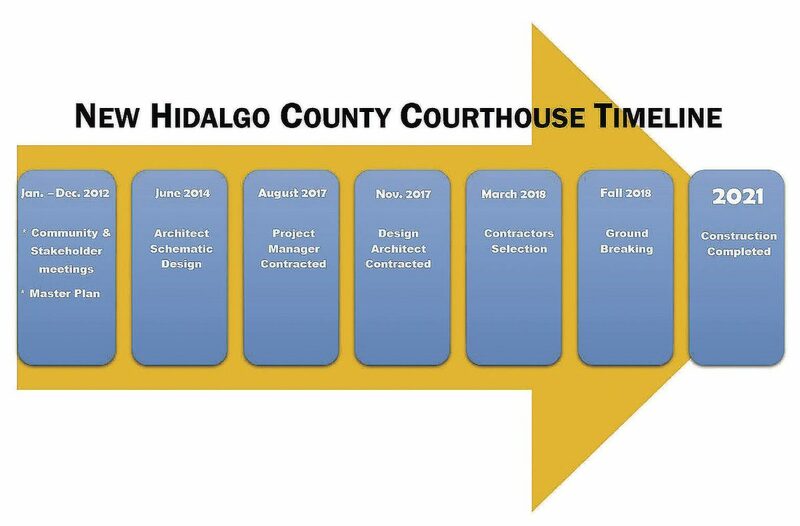 Keep tabs on the courthouse project on the county government page at our county website or at: hidalgocounty.us/2263/NEW-Courthouse-Project.